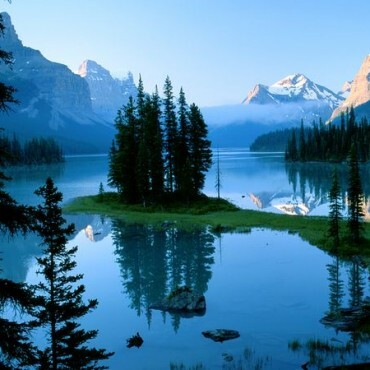 Rising with overwhelming majesty from Alberta’s rippling plains, the Canadian Rockies are one of the main reasons people come to Canada, and few North American landscapes come as loaded with such high expectations. So it’s a relief to find the superlatives scarcely exaggerate the splendour or immensity of the region’s forests, lakes, rivers and snow-capped mountains. Many of the best bits have been hived off into several impressive national parks, but be warned that planning an itinerary that neatly fits them all in is just about impossible. It’s also unnecessary: the parks are equally sensational so it’s best to put as much effort getting deep into the backcountry in one or two spots as it is to tour the most accessible highlights and main hubs. Visit Banff viewpoints, landmarks and historic places on this popular half day sightseeing tour. Enjoy the stunning scenery and short walks to the must see locations, taking photos and watching for wildlife. 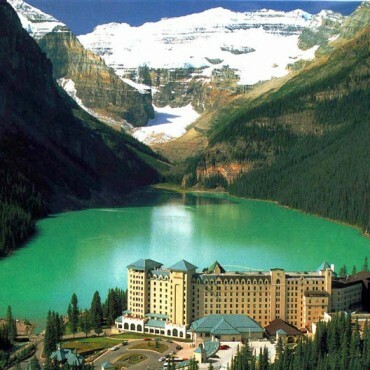 Lake Louise -- Canada's "Diamond in the Wilderness," and the "Hiking Capital of Canada". This area offers a tremendous diversity of recreational and sightseeing opportunities. The incredible glaciers, dramatic peaks and brilliant emerald waters of Lake Louise e have wowed visitors since the 1890's. Visit the world renowned Moriane Lake, a glacially-fed lake in Banff National Park, 14 kilometres outside the Village of Lake Louise. It is situated in the Valley of the Ten Peaks, at an elevation of approximately 6,183 feet. The incredible glaciers, dramatic peaks and brilliant emerald waters of Moraine Lake have wowed visitors since the 1890's. 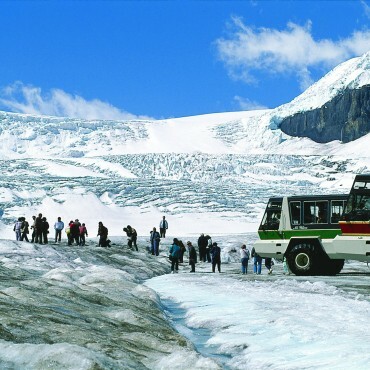 If there is one thing you should do when you visit the Canadian Rockies, it is the Glacier Adventure. This once-in-a lifetime experience will leave you feeling exhilarated and inspired, with an amazing ride on a massive Ice Explorer to trek onto the surface of the Athabasca Glacier and a jaw-dropping walk along the glass-floored Glacier Skywalk at the cliff’s edge. Jasper is the gentle giant of the Rockies. The laid-back mountain town offers easy access to majestic peaks, endless outdoor adventure, pristine wilderness and abundant wildlife. Almost 97 per cent of the park’s 11,000 square kilometers is protected wilderness yet you’ll find trail networks right on your doorstep and your favorite amenities at your fingertips in the welcoming town. It’s a breathtaking place to visit at least once in your lifetime. Over half of the visitors to Glacier National Park report taking a hike. With over 700 miles of trail providing outstanding opportunities for both short hikes and extended backpacking trips, there is something for everyone interested. 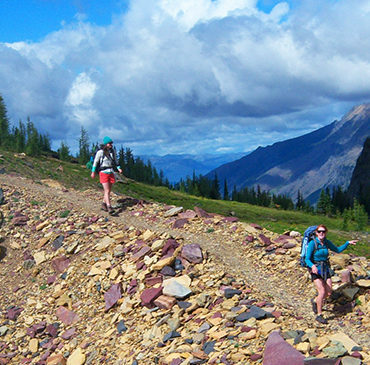 Hikers need to assume individual responsibility for planning their trips and hiking safely. Before setting out on your hike, stop by a park visitor center to obtain needed warnings and recommendations. You will increase your odds of a safe hike, decrease your disturbance to park wildlife, and lessen cumulative damage to resources. 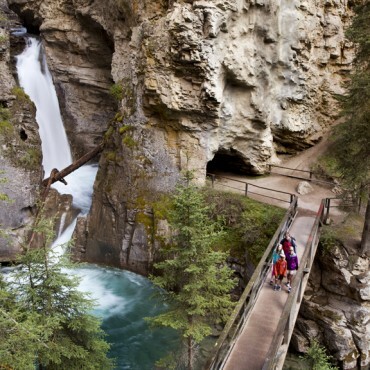 Johnston Canyon is one of the most popular day hikes in Banff National Park. It’s fairly easy, making it perfect for families and people of almost any fitness level and age. The trail to the waterfalls of Johnston Canyon has to be the busiest in the Canadian Rockies. Nearly every day throughout the summer, hundreds of hikers follow its canyon-clinging catwalks and cliff-mounting staircases to the gorge’s Lower and Upper Falls. While the canyon and its unique trail are certainly worthy of a visit, you’ll have to do the hike in the evening or very early in the morning to avoid the hordes. 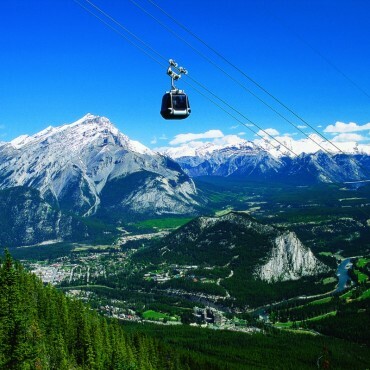 Soar to the top of Sulphur Mountain to experience a stunning bird’s-eye view of six incredible mountain ranges. With breathtaking vistas in every direction, you’ll understand why the Banff Gondola is a Canadian Rockies must-see destination. Your adventure begins with an eight-minute journey to the summit of Sulphur Mountain in a modern, fully enclosed four-passenger gondola cabin. Glide up over the treetops to the crest of a steep-sided Rocky Mountain peak and step out into a jaw-dropping mountaintop experience. From fantastic views of the Banff townsite to glimpses of local wildlife, there’s no shortage of beauty to take in. 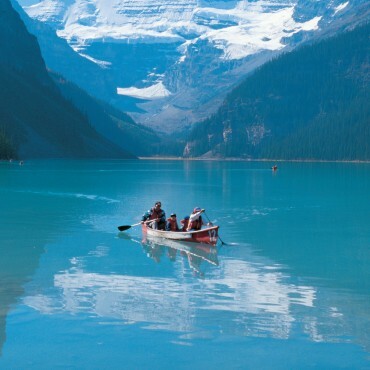 A glacial lake fed by Cascade River and the largest body of water in Banff. There are several backcountry hike in, bike in or boat access camp sites located on the lake. A shorter hike 1.5kms to Stewart Canyon and the Cascade River is also located on the same trail. Lake Minnewanka holds some very large Lake Trout, (National Park fishing license is required). Boaters & Canoers beware of the high winds that can blow down the valley without warning. Larger boat tours are offered by the Parks service that provide excellent views of the lakes shore line and surrounding Mountains. The canal leading from the lake runs into Two Jack Lake then down to the Bow River valley below.